In small bowl, beat egg and water. Lightly brush tops of biscuits with egg mixture. Bake 15 to 20 minutes or until golden brown. Serve biscuits warm with gravy. 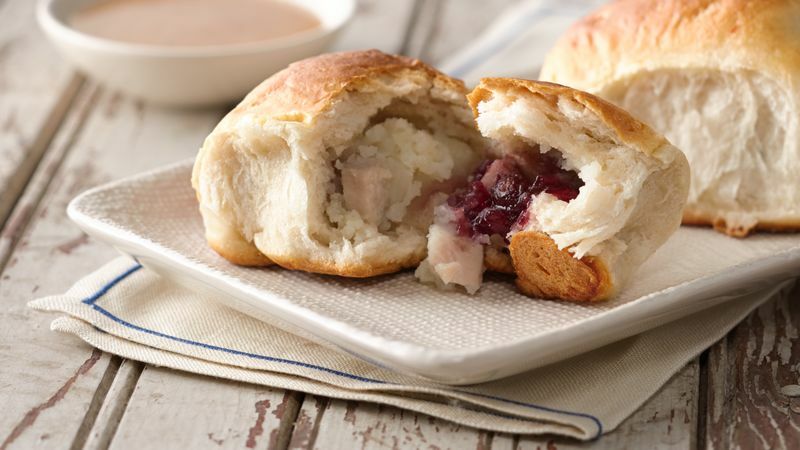 This recipe is perfect for using Thanksgiving leftovers! If you have leftover vegetables, chop them up and add them, too (but don’t overfill the biscuits). Instead of serving the gravy on the side, try adding a little gravy to the middle of each biscuit.